Korbinian Altenberger was born in Munich and studied with Charles André Linale and Donald Weilerstein in Cologne and Boston. In 2009, he received a post-graduate degree from the University of Southern California in Los Angeles, where he was a Dorothy Richard Starling Scholar. 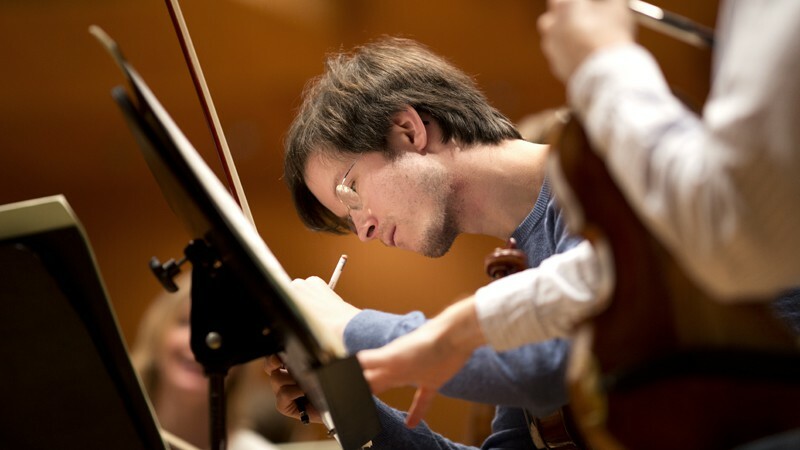 Korbinian Altenberger has received a number of awards and prizes from international competitions such as the Postacchini Competition, the Michael Violin Competition, the Concours Tibor Várga and the Montréal International Music Competition. At the age of twelve, he made his debut at the Salzburg Festival, and since then he can be heard regularly as a soloist and chamber musician on every continent. He has played with the Orchestra National, the Auckland Philharmonia, the Munich Chamber Orchestra, the Göttingen Symphony, as well as the Saarland and South-West German radio orchestras. He has performed in North and South America with such ensembles as the Winnipeg Symphony, the Philadelphia Chamber Orchestra and the Iris Orchestra as well as the National Orchestra of Costa Rica. In the past years he has accepted invitations to such countries as Japan, South Korea, Cambodia, the United States, New Zealand, Israel along with European countries like Great Britain, Austria, Italy, France, the Czech Republic, Switzerland and Slovakia. He has received special musical impulses from his collaborations with such artists as Shmuel Askenasi, Gerhard Schulz, Leon Fleisher and members of the Guarneri, Juilliard and Cleveland Quartets. His enthusiasm for chamber music has been fostered by frequent invitations to a wide variety of festivals in the United States such as Ravinia, Caramoor and Marlboro as ones in Europe like Prussia Cove in Great Britain, Verbier in Switzerland, the Moritzburg Festival and also to the Israel Chamber Project. After holding a position as principal concert master in the Symphony Orchestra of the WDR in Cologne, Korbinian Altenberger has been concert master of the 2nd violins in the Symphonieorchester des Bayerischen Rundfunks since 2011.